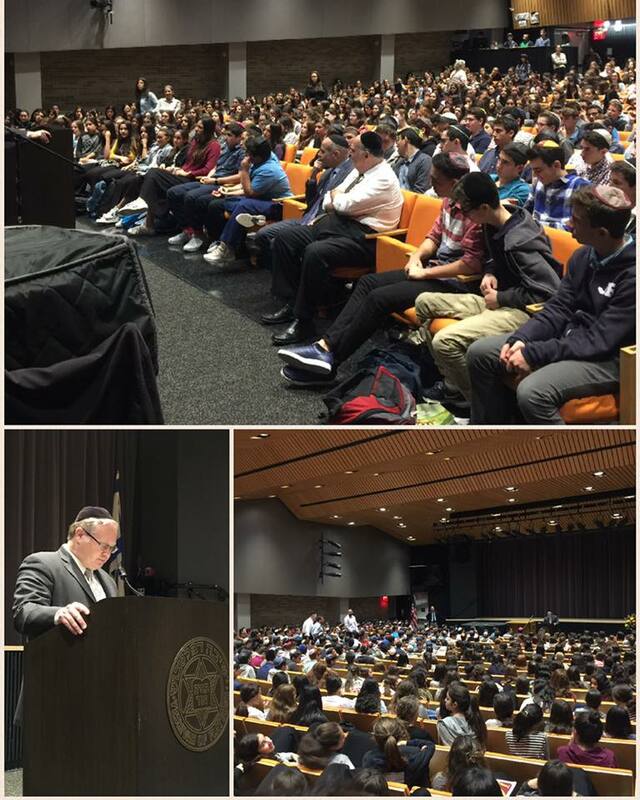 This past Friday, during the Aseret Yemi Teshuvah, we had the privilege of hearing from Rabbi Saul J. Kassin, YOF alum and Rabbi of Congregation Magen David of West Deal, for our annual Teshuvah Assembly. Rabbi Kassin enlighten us with the power of teshuvah. He opened up with two short, inspiring stories and made us aware of the Jewish tradition that holds that even someone who sinned his whole life can do teshuvah on his last day. Rabbi Kassin expressed that we need to take advantage of the spiritual moments in our lives and make sure to come back to Hashem. Also, Rabbi Kassin brought up Ben Ish Chai's interpretation of the law of making a protection on a new roof. He explains that the word new in the pasuk can be interpreted as someone to start anew. The only way for someone to do teshuvah is to recognize his or her weaknesses. The fence around the roof is meant to keep ourselves in check and look inside ourselves.